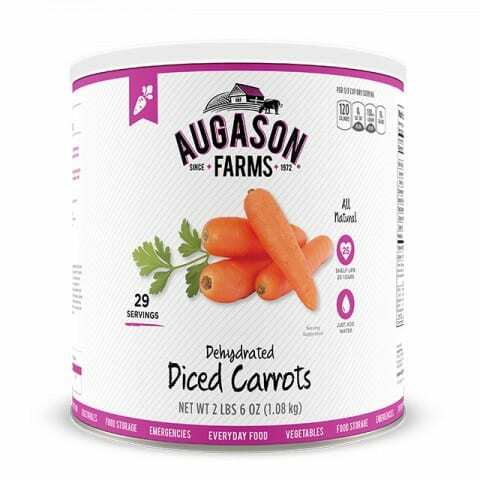 29 Servings of Dehydrated Diced carrots with a 25 year shelf life conveniently packaged in a #10 can! Just add water and you have a nutritional addition to any meal. Looking for an ingredient list? Easy, it’s the title! Just pure, simple, Dehydrated Diced Carrots.